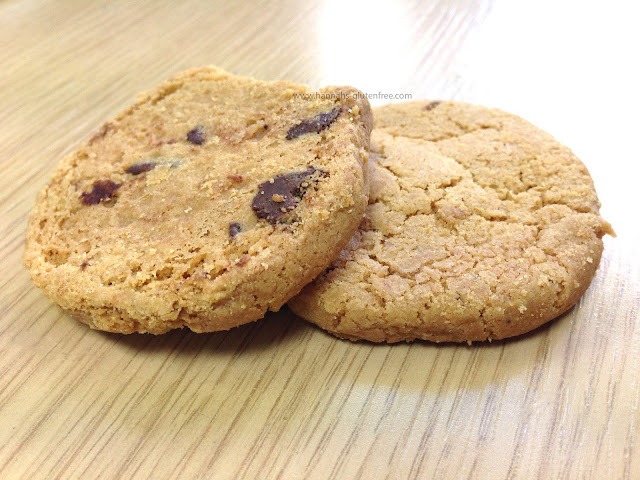 Coffee breaks are never complete without a biscuit or two! These snack pack sizes I keep receiving in my snackly box are perfect for me to bring to my office! Containing no artificial additives or preservatives means I won't become a caffeine filled additive run squirrel for the next few hours! 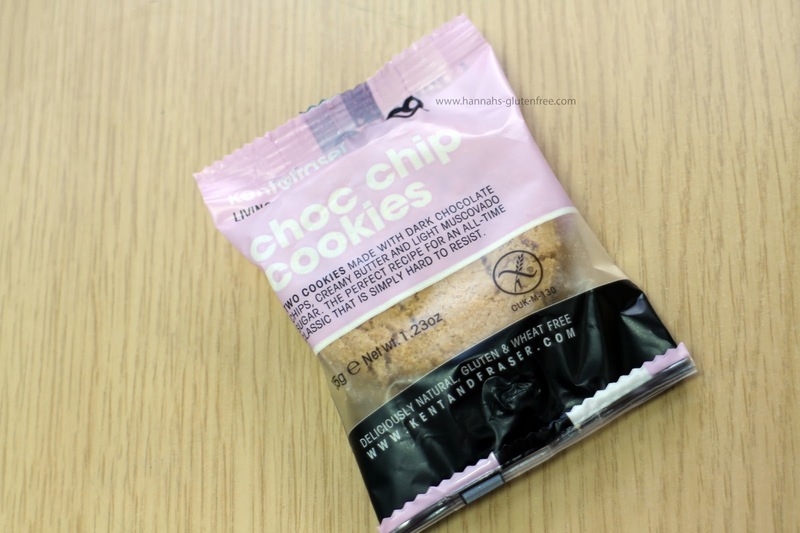 Described as 'Two cookies made with dark chocolate chips, creamy butter and light muscovado sugar. The perfect recipe for an all time classic that is simply hard to resist.' These cookies are sold to me instantly. Looking at the pack these are certified wheat and gluten free, but also do not contain any egg ingredients, although they do not claim to be egg free. These cookies are produced in a bakery that handles nuts and contain soya and milk. If you are diabetic or trying to avoid sugar I don't think that these are the cookies for you as the first ingredient is light muscovado sugar. When opening my pack I did have a bit of cookie missing, it was only the edge of one but it did give me a giggle when I discovered it wasn't in the bottom of the pack. Comparable to the size of a mainstream Maryland cookies, I found two were perfect for a snack. In terms of texture I would call these much more of a biscuit than a cookie, as they are crunchy. In my eyes cookies are soft and gooey, nevertheless they were still lovely. Quite aerated crisp mixture, this cookie has a very sweet sugary crunch. Being golden brown, these cookies are cooked to perfection, they have not been overly dried out to a crumbly consistency and there is not odd powdery aftertaste, which is a famous trait of many free from cookies. A full size box will set you back £2.30, which I think is more or less the price you pay for most free from biscuits, so I think that this price point is reasonable. I would be less inclined to buy this flavour over the other flavours Kent and Fraser produce however due to having a lack of chocolate chips in my cookie. If I am buying chocolate chip cookies, I would like a good amount of chips, so I would be more inclined to buy the Morisons choc chip cookies. Nevertheless, I have tried a variety of Kent & Frasers cookies and I would recommend trying them. I would have brought these again if I could guarantee even chips in each cookie. I would love to know what you think these cookies if you have tried them. I am hoping I just had a odd one with only one chip!